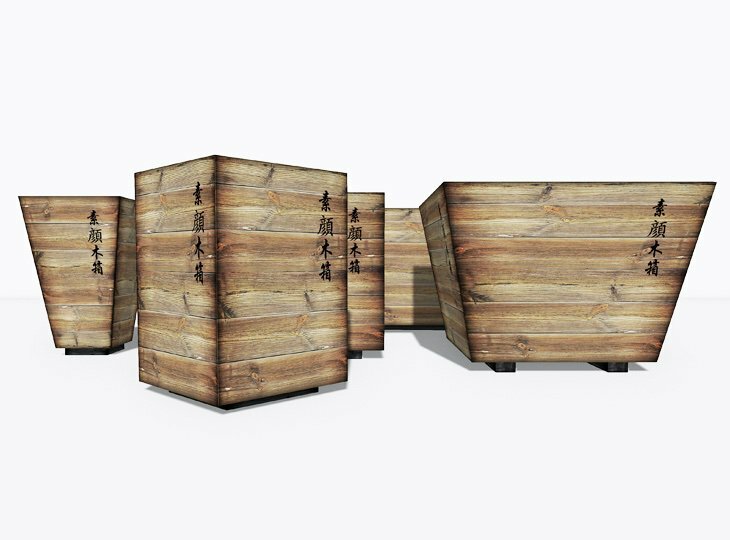 Introducing the Kokumotsu Kibako Planter Series by Yokoso Japanese Gardens. Kokumotsu Kibako is Japanese for "box from grained wood". 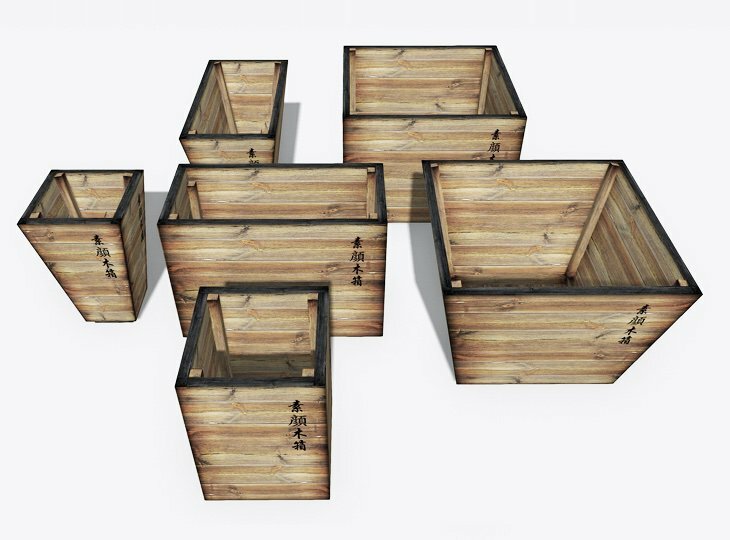 The Kokumotsu Kibako planters and tree containers are hand built from reclaimed Siberian larch panels that served their heavy duty in the stone and pavement industry for at least 100 years. Before construction the wood is sandblasted to reveal the beautyful delicate natural patina and grain. The panels consist of 40mm thick larch wooden planks that are put together by means of traditional dovetail joints. The planters and tree containers are constructed using high performance waterproof adhesives and rvs fasteners. The edges and supports of the planters and tree containers are black while the sides are kept natural. The last phase is treating the planters and tree containers with a natural oil to protect the wood from decay and brighten the colors. 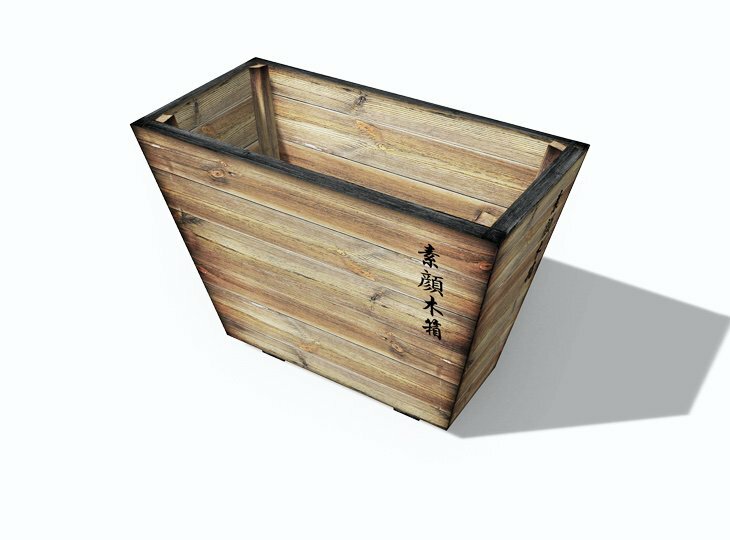 The Kokumotsu Kibako planters and tree containers can be deployed as heavy duty flower pot, flower container or flower box. The sturdy construction and strong material used garantees the Kokumotsu Kibako planters and tree containers can hold big trees and shrubs aswell. Because of the attached "supports" at the bottom the tree container or planter can easily be moved around with a forklift truck in case you need to move your tropical trees into the winter shelter or greenhouse. Shou Sugi Ban (or Yakisugi) is an ancient Japanese exterior burning technique that preserves wood by charring it with fire. 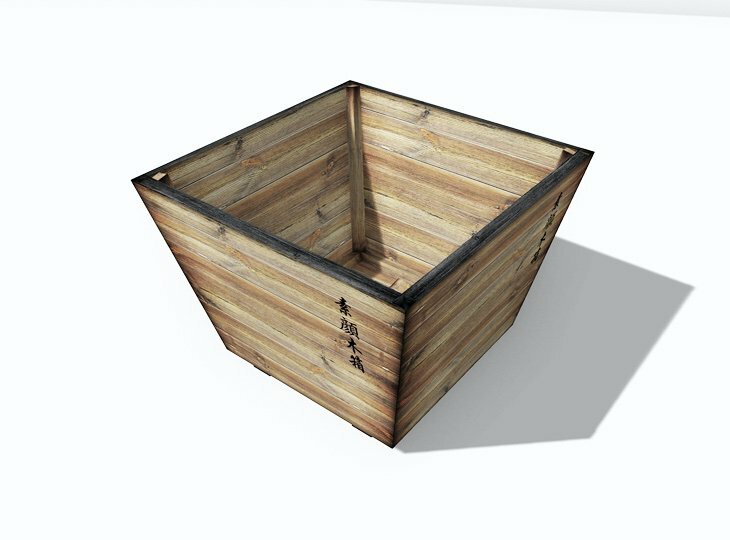 The edges of the planters and the japanese signature on the sides are accomplished with Shou Sugi Ban. 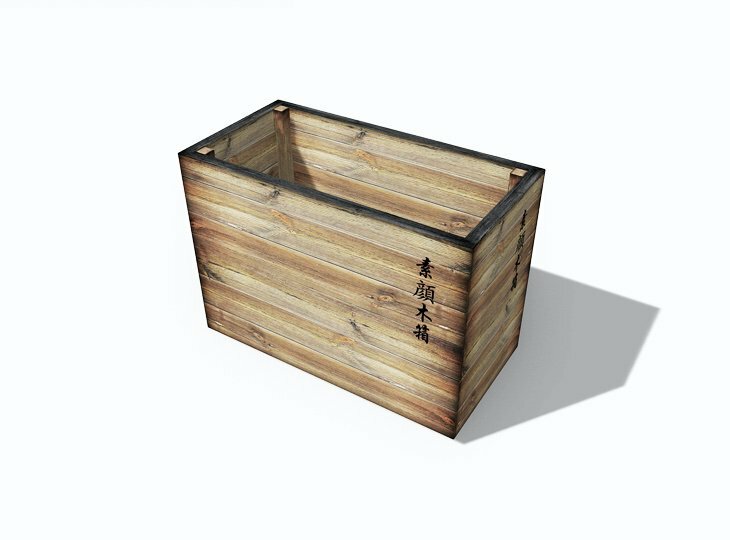 Standard the Kokumotsu Kibako Planters come with a Japanese lettering. 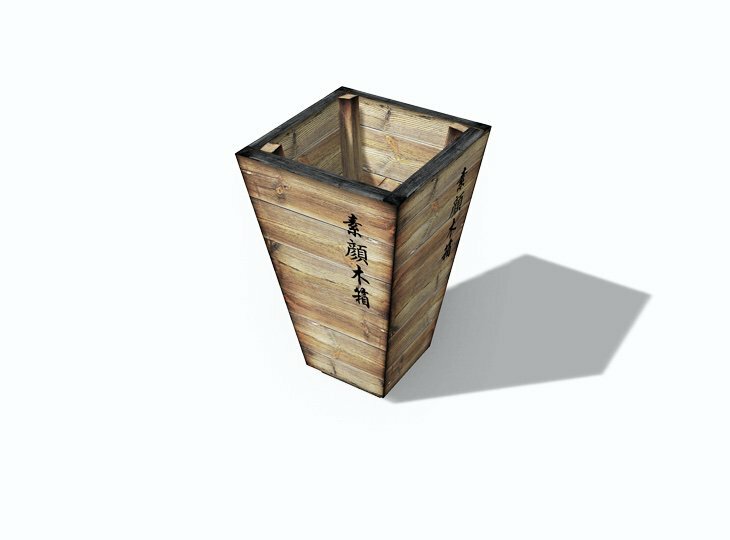 On request we can also add different lettering and logos to your Kokumotsu Kibako Planters. 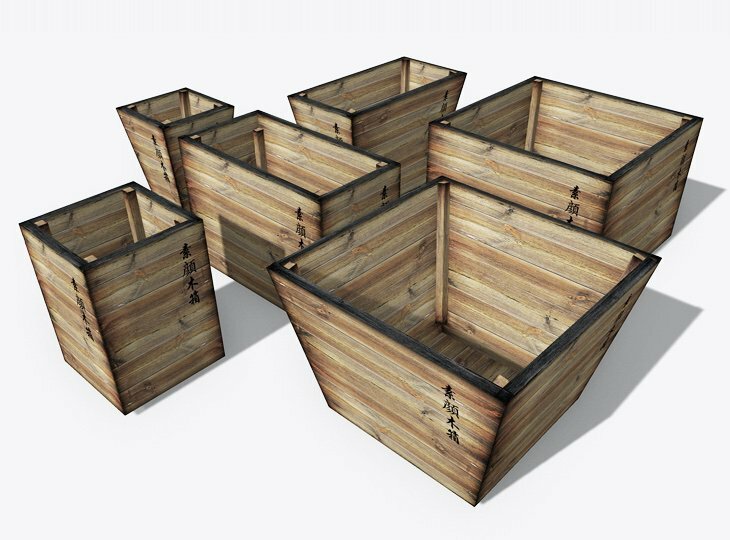 The Kokumotsu Kibako Planter Series comes in fixed sizes but off cause we can produce custom sizes and shapes for our customers. Please use our form and tell us what custom size and configuration you wish. Check our "catalog" for an overview of sizes and configurations.